Kitchen or bathroom? Or both! As I’m trying to make my diet simpler, less processed foods, less toxic chemicals, more cooking from scratch, I am wanting to make other areas in my life simpler too – including skin and haircare. This is an area that I’ve always loved spending money on, seriously, leave me in a chemist or department store and I was happy for hours! But I gave no thought to what toxicants I might be putting onto my body and what effect this might have on me. Toner: I buy a few different flower waters and mix them up, according to what I need them to do. Rose water and chamomile water are both soothing, lavender water is revitalising and orange blossom is slightly astringent. Into a glass bottle I pour 50% rose or chamomile water, 25% lavender and 25% orange blossom. Face moisturiser: I buy jojoba, rosehip and calendula oils and pour 50% jojoba, 25% rosehip and 25% calendula into a glass bottle. I use this for my face for nighttime and during the day (when I don’t use a sunscreen). Body moisturiser: Just organic olive oil, it’s best to use when you’ve just got out of the shower so it really sinks in. Hair serum / hair mask: Organic coconut oil. For the serum you don’t need to use very much at all, less is definitely more! 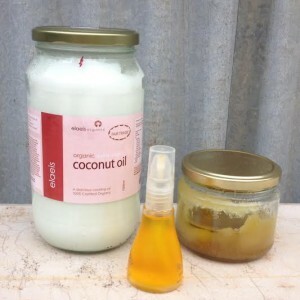 For the mask, coat your hair in coconut oil and leave for as long as possible, a few hours or overnight. Then shampoo, you might need to do this twice to get the oil out, and style as usual (or just brush and leave to dry, as in my case!). Body / face scrub: Olive oil and sugar. Just put some sugar into a jar (a wide mouth one is best, so it’s easier to get out) and then add enough olive oil to make a good scrub consistency. If you are making a scrub for your face you will want to use smaller sugar crystals (either caster sugar, or grind down normal sugar in a pestle and mortar). You can add essential oils too if you like, just make sure your skin isn’t sensitive to them. 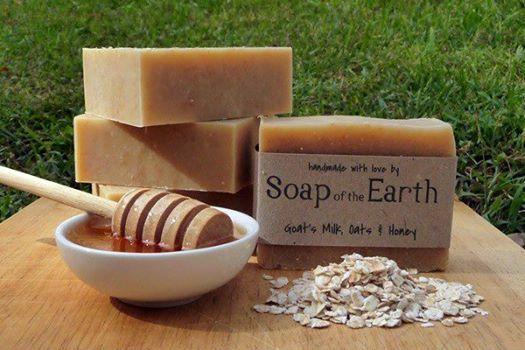 Soap of the Earth – all natural ingredients, amazing to use! If anyone has any tips on good brands to buy or how to make my own I’d love to hear them! What is an Anti-inflammatory Diet? - Kirstie Howard Living Well on Benefits of Phytochemicals – Eat the Rainbow! © 2019 Kirstie Howard Living Well. All rights reserved.